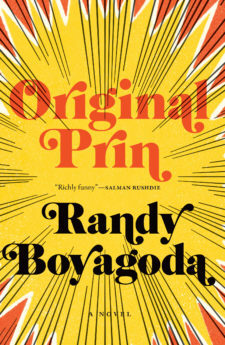 Randy Boyagoda is one of Canada’s funniest and most provocative writers. A regular presence on CBC Radio, his most recent novel, Beggar’s Feast, was selected as a New York Times Book Review Editor’s Choice and longlisted for the IMPAC Dublin Literary Prize. His first novel, Governor of the Northern Province, was nominated for the Scotiabank Giller Prize. Born to Sri Lankan parents in Oshawa, he lives in Toronto with his wife and four children. He is a professor of English at the University of Toronto, where he is also Principal of St. Michael’s College.